We were approached by the hard working heroes of King County Fire Department 34 wanting to do a major overhaul to their old existing site. They wanted a fresh look and feel as well as an integrated custom web app for managing permit documentation on their site. We built the site on WordPress site content management system which added to their ease of updating their own site. We integrated a calendar for events and simple content management in addition to the functionality of the custom web apps that we created. We created two custom we integrations into their web app. One to manage and sort all their PDF minutes and agendas over the past 5 years. 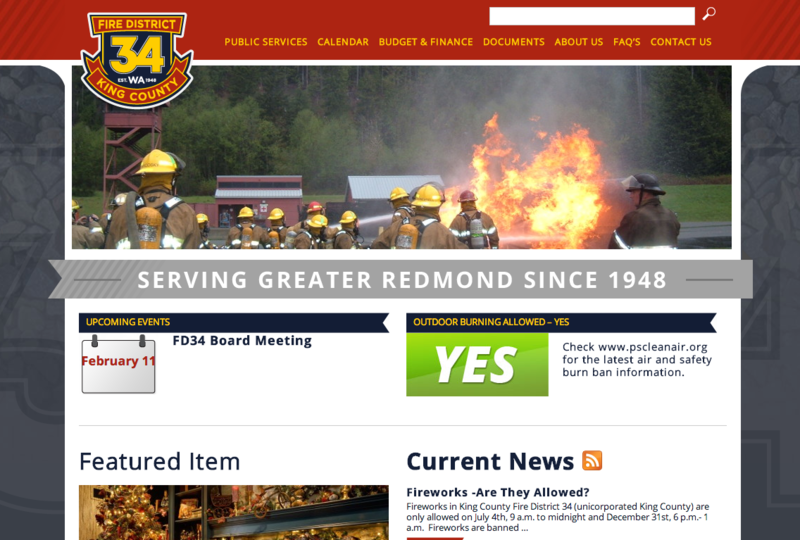 Additionally, we created a user “burn permit” signup integration for their “burn permit” application process. 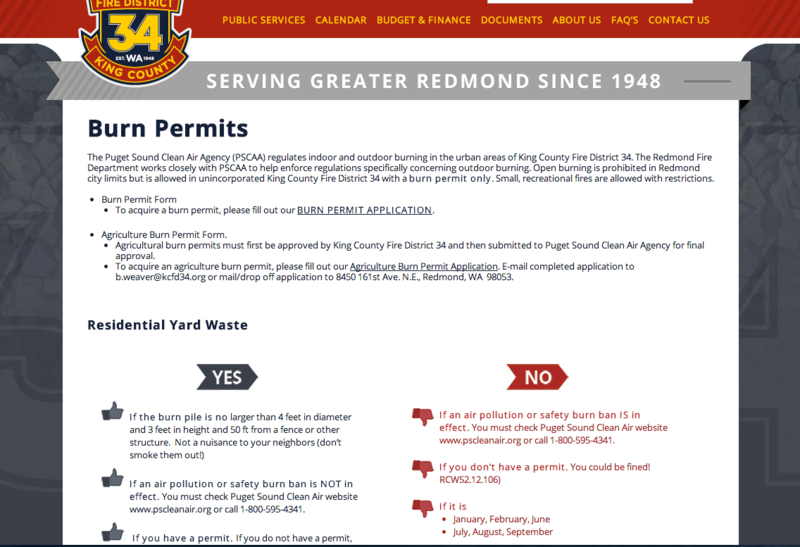 We indexed their existing database of address records to check if 1) the applicant actually lived in King County and 2) had not already applied for a burn permit. We then setup an admin portal where one of their staff could approve or deny different permit applications and print documentation to send to the applicant. 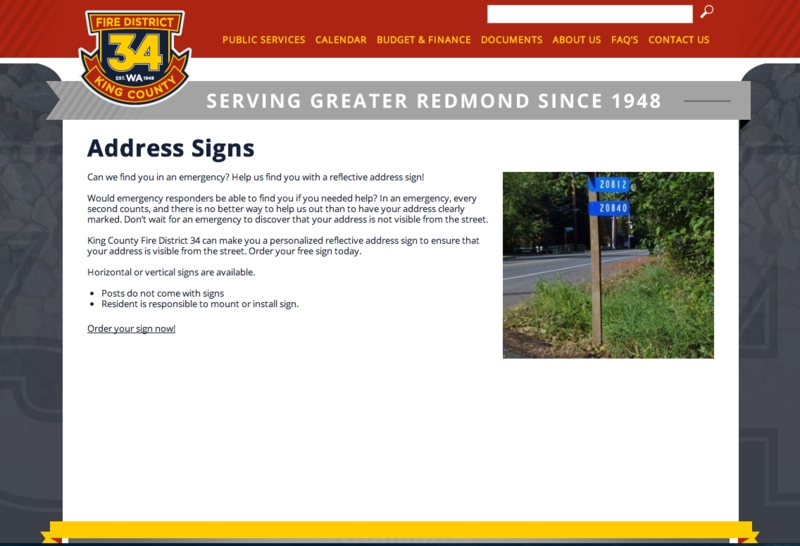 We did a similar integration for their “address sign” application process as well. 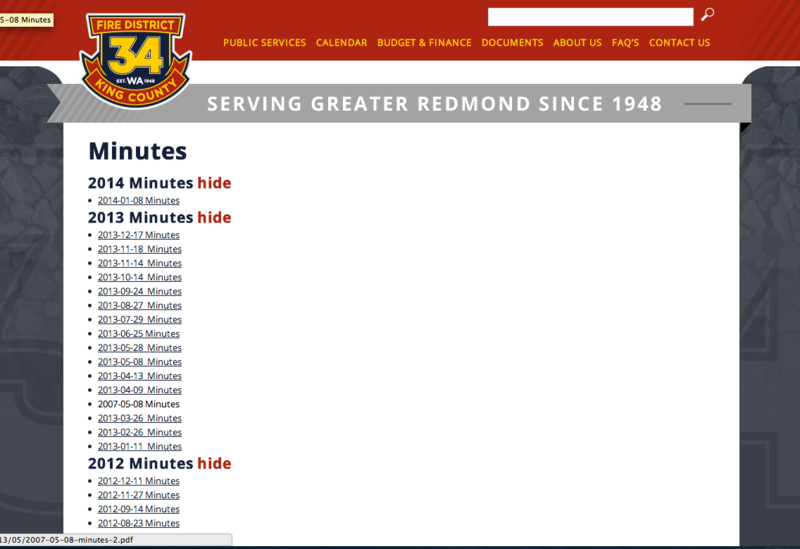 Not only did the site look incredible visually but also added much needed functionality to the hand tailored needs of the admin staff over at King County Fire Department 34.